24-7 Emergency locksmiths at the Steel City of Bethlehem PA and the surrounding areas. We are an emergency mobile locksmith company that serves Bethlehem PA, and the surrounding suburbs. For this reason, we’re traveling on the roads of Bethlehem PA on a daily basis and most hours of the day. That is to say; if you’re located at the Sands Casino and need a new car key replacement, we are here to help. Furthermore, if you enjoy a day at Bethlehem Music Festival and you’re locked out of your car, we can help, too. Don’t hesitate to call our emergency locksmiths at Bethlehem PA. We serve all parts of Bethlehem. This includes; Fountain Hill, Freemansburg, Historic Bethlehem District, Lehigh University, Hanover Township, and more. Emergency automotive locksmith services in the Bethlehem area is LockTech24/7 fastest locksmith service. This is because we know you’re stuck on the road, cold and frustrated. We offer 10 minutes response time anywhere in the Bethlehem PA area. It’s important to remember that we are able to help you with many issues concerning your car key. For instance, if you locked out of your car or need a car key replacement in Bethlehem PA, we are happy to help. Emergency Automotive Lockout Bethlehem PA – This is the most popular automotive emergency locksmith service in Bethlehem PA. Whether you drive a car, SUV, van, or truck, we can unlock your vehicle in a short time frame. Emergency Automotive Trunk Unlock in Bethlehem PA – In many cars, especially the new ones, you can gain access to your trunk through the back seats. In the worse scenario, if we can’t unlock your trunk, we can cut a cheap valet car key just to open the doors and your trunk. Emergency Truck Lockout in Bethlehem PA – If you are a semi-trailer truck driver and you pass through Bethlehem, we are here to help! We’re working with many trucking companies around the city of Bethlehem. With this in mind, we can unlock your tractor in no time. RV Door Unlock in Bethlehem PA – Are you camping in a lake around Bethlehem PA and locked yourself out? First of all, don’t panic! We have you covered! Call us as soon as possible and we will come, wherever you’re parking, and unlock your RV, right away. Emergency Broken Car Key Remove Bethlehem PA – Imagine yourself driving somewhere around Bethlehem PA. You parked your car in a shopping mall. When you came back to your car and tried to unlock the door, the key broke inside your door lock. When a scenario like this one happens to you, don’t hesitate to call the fastest locksmiths in Bethlehem PA. LockTech24/7 emergency locksmiths ready to extract your broken car key and replace it with a new car key. Emergency Lost Car Key Replacement Bethlehem PA – 24/7 mobile car key services in Bethlehem PA when you lose your car key on the road. The first thing to remember is we stock a wide inventory of car keys, transponder chip keys, key fobs, and proximity smart auto keys. The second thing to remember is we are mobile auto locksmiths and we come to you. Emergency Auto Ignition Switch Repair Bethlehem PA– As a crisis with your car key can arise, so can happen with your car ignition switch. Your ignition lock is located in the steering column, and it can break out of nowhere. When this happens to you in Bethlehem PA, we will come and repair your car ignition lock on the spot. LockTech24/7 roadside assistance is available 24 hours a day, 7 days a week. Emergency Auto Ignition Lock Replace in Bethlehem PA – In a case and your ignition is beyond repair and need a replacement, we can do it for you quickly. We carry a wide range of ignition locks of many car brands and models. As local locksmith company in Bethlehem PA, we know the community of Bethlehem, very well. With so many years of experience, there is no such job is small enough or big enough for our technicians. We can simply help you with any time of emergency residential locksmith service in Bethlehem. Our residential locksmith Bethlehem PA is available 24/7 year-round to help whenever you lock yourself out, need a key replacement, or to change few locks. Don’t hesitate to call us day or night, weekday or weekend. Our residential locksmith services include the following emergency residential locksmith services Bethlehem PA, and beyond. Emergency House Lockout Service Bethlehem PA – Residential lockout service in Bethlehem PA is our daily basis of emergency locksmith service. With this in mind, we arrive fast to your location, unlocking the door to your house, quickly. Emergency Apartment Lockout Bethlehem PA – As for house lockout, fast apartment lockout service is available within minutes. If you need to unlock the main door to your apartment building, we can help, too. Bedroom Lockout in Bethlehem PA – In many houses, there are entry keyed locks in the bedrooms. Sometimes, we get a call to unlock a bedroom door. This kind of emergency locksmith service is very tricky because you are locked out of a bedroom, but you’re still inside your house. Emergency Broken House Lock Repair Bethlehem PA – A broken lock in your house can put your security in jeopardy. When you have a broken lock on your door, you should call a residential locksmith Bethlehem PA, as soon as possible. Emergency Broken Apartment Key Removal Bethlehem PA – A broken key situation can be very annoying, especially when it happens late at night. Instead of trying to pull the broken key out, we recommend to call us. We can extract any key from any lock, please call now. Emergency Safe Lockout in a House Bethlehem PA – Being locked out of your safe box when you need important documents inside can get you into a panic. Worry not! We can help you to unlock your safe box, hassle-free. Emergency Patio Door Lock Repair Bethlehem PA – In almost every house in Bethlehem PA, there is a patio door in the back porch. This is the reason why we cover patio door lock services in Bethlehem PA and surrounding areas. Are you the owner of a shop on the street or in a shopping mall? Maybe you are a manager in a big office building? 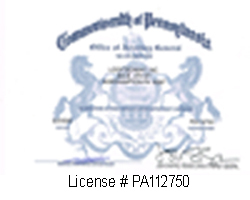 If you need a commercial locksmith Bethlehem PA, you’ve just arrived at the right place. 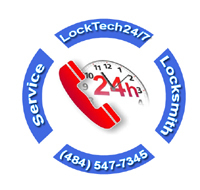 LockTech24/7 Bethlehem commercial locksmiths are very skilled technicians in all commercial locks. We have years of experience re-keying, repairing, and replacing commercial locks and security hardware. Emergency Business Lockout Bethlehem PA – In a time of crisis, when you get locked out of your business, you may know that we can help you fast. No matter what door would you like to unlock in your business. It also no matter if you need us to come for help early morning or late at night. Emergency Lock Repair in Office Bethlehem PA – The fact that you have a commercial lock doesn’t mean that lock will last forever. In addition, your commercial doors use heavy traffic method because all your customers who are knocking on your doors. Emergency Broken Key Extraction in a Business Bethlehem PA – Perhaps, you have many employees and few of them have the key to your business. In time, the key gets worn and is easy to break. In a scenario of a broken commercial key in Bethlehem PA please call the best locksmith company in town, LockTech24/7. Emergency Push Bar Repair Bethlehem PA– Push bar is an exit device that installed on your back or your front door. In general, a push bar is required by the law fire code in order to keep the safety of your customers and your employees in the case of a fire. We’re experts to repair push bars, as well as panic bars. As you can see, we’re able to help with any emergency locksmith service you may need. This includes day or night, weekdays and weekends.